Celebrity Cruises’ new build, the Celebrity Edge, which just debuted in December 2018, is their first new ship in six years. She’s not only the first ship in their new ship series – she’s also a brand new ship design. 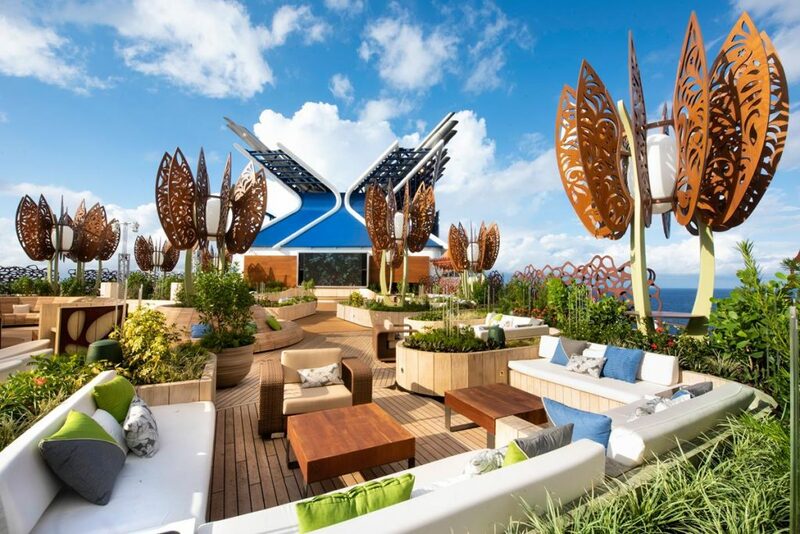 Celebrity Edge brings a new dimension to cruising with unique outdoor spaces as well as indoor ones. She was designed to bring guests into a special connection to the sea, with playscapes and experiences, along with invigorating energy. 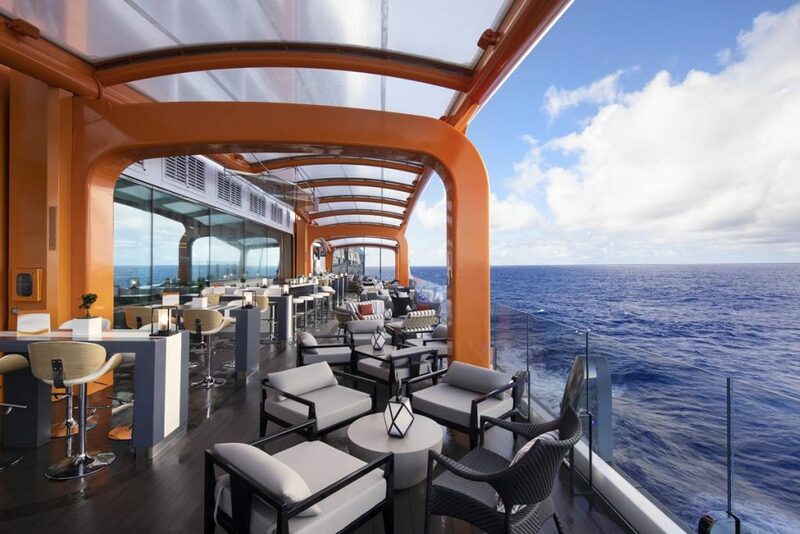 Yes, sailing on Celebrity Edge does bring a new edge to cruising, and one to not miss out on when you’re deciding on your next group’s cruise. 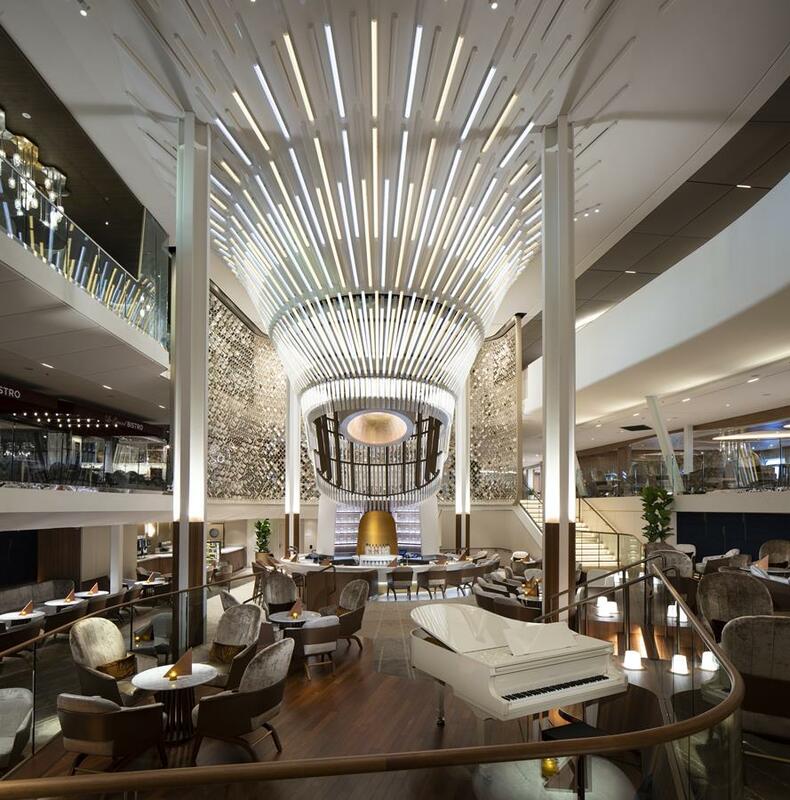 Celebrity Cruises selected a special team of globally renowned designers and architects to bring in fresh perspectives as far as the ship’s design itself. They left behind traditional thinking as far as the ship design, and this is why Celebrity Edge is cutting edge unique. 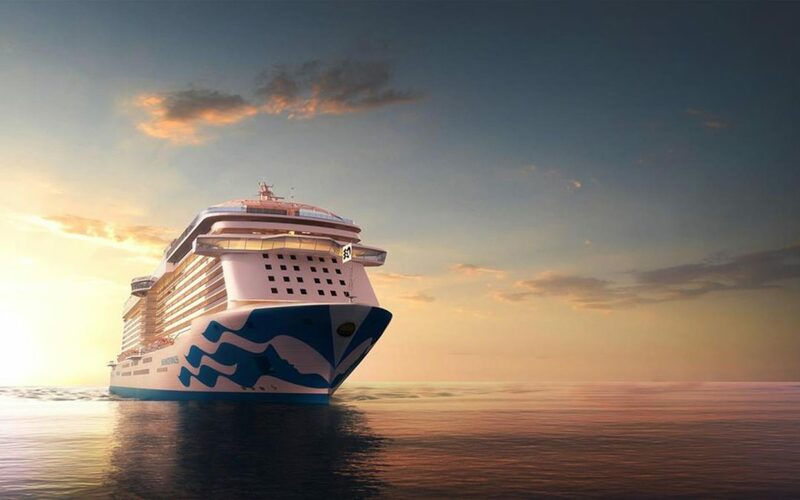 And she is the first ship to ever be designed entirely in 3-D.
Accommodating 2,918 guests and coming in at 129,500 gross registered tons, Celebrity Edge has 1,467 staterooms. And 918 of these are in the new category – the new Edge Stateroom with Infinite Veranda. The special naming ceremony for the Celebrity Edge took place on December 4, 2018. Malala Yousafzai, the youngest person to ever be awarded the Nobel Peace Prize, was the Godmother. When she was only 15, Malala, a student at the time, was shot by the Taliban for speaking out against the ban they had on girls’ education. She fully recovered and has continued on with her efforts to create a quality and safe education for young girls. Malala is the co-founder of the Malala Fund. And Celebrity Cruises has teamed up with Malala and the Malala Fund. 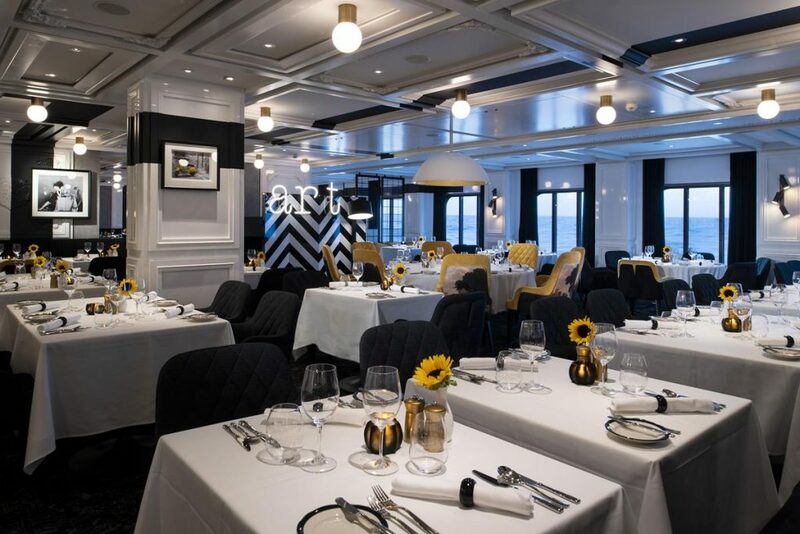 As mentioned, the Celebrity Edge doesn’t have the traditional main dining room. Instead, she has four complimentary dinner venues. These include the Normandie Restaurant, which offers contemporary French cuisine, the Cosmopolitan Restaurant, which offers new American cuisine, the Cypress Restaurant, which offers Greek cuisine, and the Tuscan Restaurant, which offers Italian cuisine. Each of these restaurants provides signature dishes, but also have a special selection of dishes that showcase each of these different restaurants’ regional concept. Guests can book traditional dining (early and late) as well as open seating. Guests can also enjoy diverse, alternative specialty dining venues on board as well. These include Fine Cut Steakhouse, Raw on 5, the Rooftop Garden Grill, Eden Restaurant, and Le Grand Bistro which has been inspired by classic French bistros. When Magic Carpet is positioned on Deck 5, it then turns into an open-air extension of Raw on 5. Guests can enjoy some of the seafood favorites offered at Raw on 5, as well as its own unique menu. Something exclusive for Suite guests on the Celebrity Edge is dining at their own private restaurant, Luminae at The Retreat. And AquaClass guests have their own exclusive restaurant, Blu. 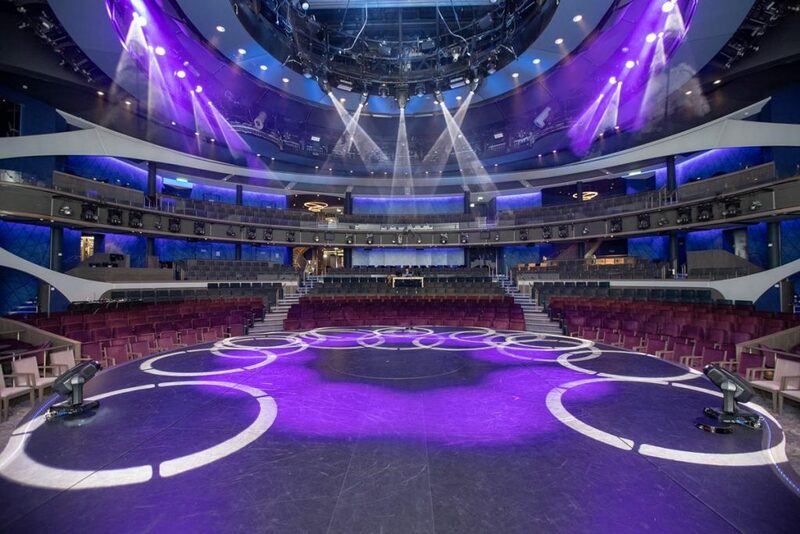 One unique area on the Celebrity Edge is Eden, a three deck high space located at the back of the ship. 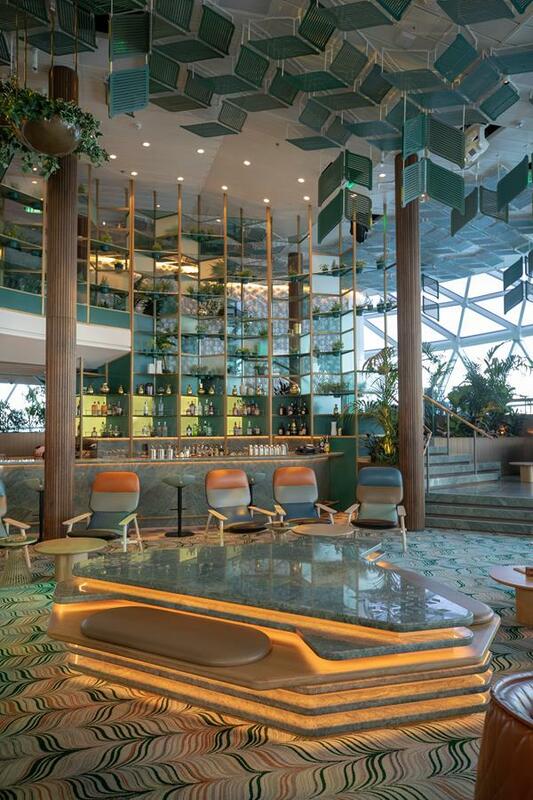 Encircled by glass and filled with plants, Eden is best described as a lounge, entertainment and dining venue. The lower level of Edge has the Eden Restaurant and Café. The Eden Café has a wide range of morning beverages and breakfast bites. During the day, Eden offers musical performances (sometimes unexpected), cooking classes, wine tasting and pairing seminars. In the evening, Eden has a fusion of culinary treats, nightlife and performances. The Rooftop Garden is a carefree outdoor space on Celebrity Edge. Complete with treetop sculptures, guests can enjoy refreshing cocktails, play a game of giant chess, or simply relax, gazing over and enjoying views of the open ocean. During the evening, guests can watch a movie at A Taste of Film, or dance to music by a live band. The Resort Deck is asymmetrical, and a ramp leads from the main pool to giant martini-glass shaped hot tubs, that look like they’re suspended in the air. There’s also a jogging track. Also on the Resort Deck is the Solarium. This covered pool area for adults features a 3-dimensional wall that represents the movement and colors of the ocean. The Magic Carpet provides guests with a new riding experience, as it’s the world’s very first cantilevered, floating platform. Located on the starboard side of the ship, Magic Carpet reaches heights of 13 stories above sea level. This outward-facing sanctuary, which serves as an alternative dining space, has a full bar and comfortable seating, along with space for music performances. And Magic Carpet also serves as the boarding platform for the Celebrity Edge’s elegant tenders, called the Launch Experience. After entering service in December 2018, Celebrity Edge began sailing on two different Caribbean itineraries (Eastern and Western) from Fort Lauderdale, which she’ll be doing until the end of April. 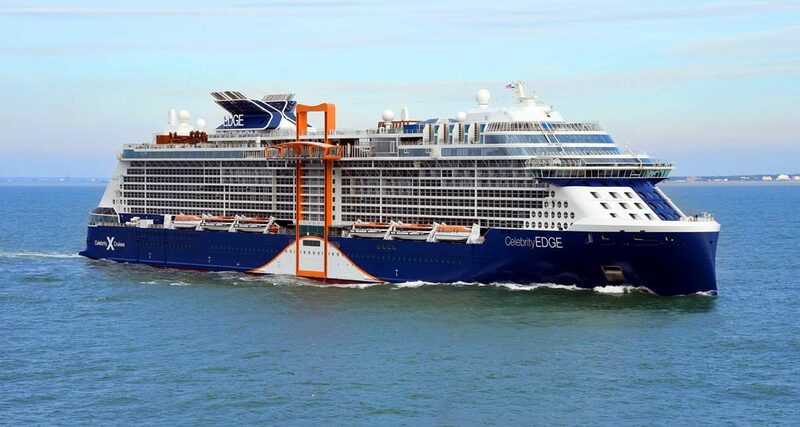 Then Celebrity Edge departs from Fort Lauderdale on April 28 for a 15 night transatlantic cruise. 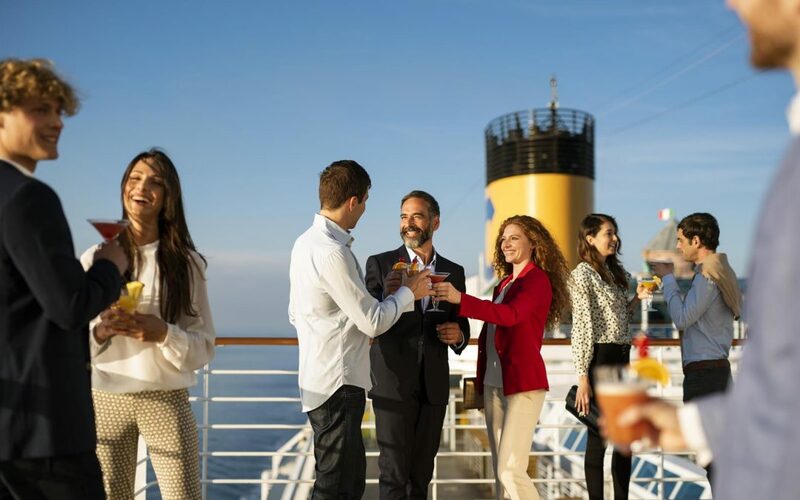 She’ll then be sailing on her diverse Europe cruises until the first part of November 2019. 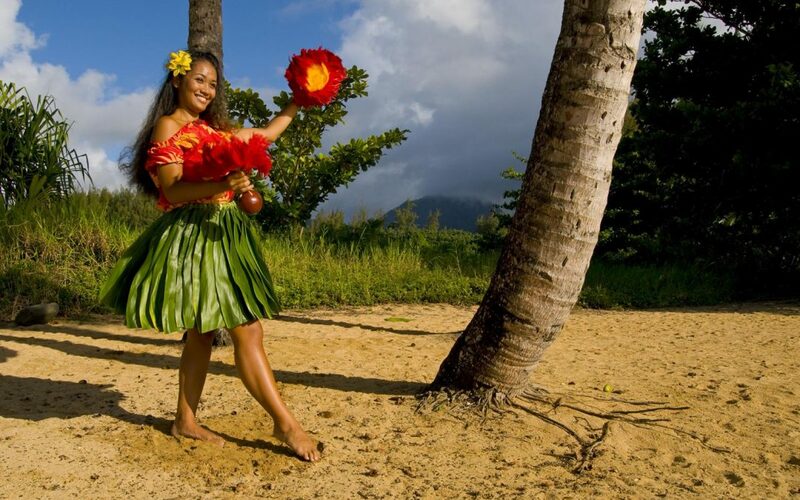 Then she’ll return back to the Caribbean. 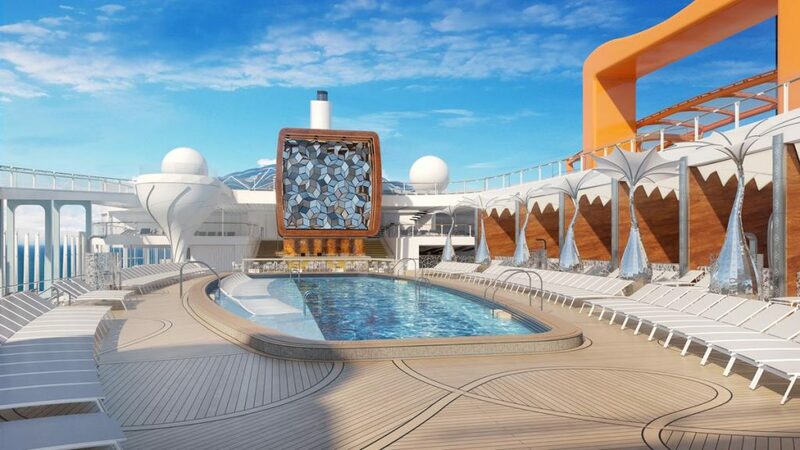 The Celebrity Edge truly represents a new era of cruising. Even if your group has sailed on Celebrity Cruises in the past, the Celebrity Edge is a new cruising experience, one you need to explore for your group.